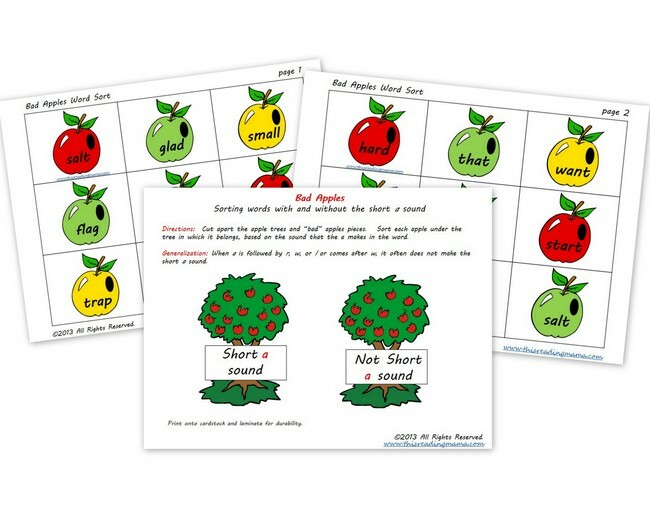 This Reading Mama has created Free Apple-Themed Word Sort Printables. This free printable set is for for Short a and other a Sounds. Click here for additional free reading resources.